Does your family host or attend a lot of holiday gatherings? Ours does, and these gatherings are huge! In fact, my husband’s side of the family is so large, we have rent a room at their church for our Thanksgiving and Christmas family dinners! We look forward to these gatherings ever year. You can always count on having lots of fun, engaging in entertaining conversations, and a feasting on a huge variety of foods and desserts! And the best part is, everyone contributes some type of dish which takes away a lot of the stress that comes with preparing an entire holiday meal by yourself! 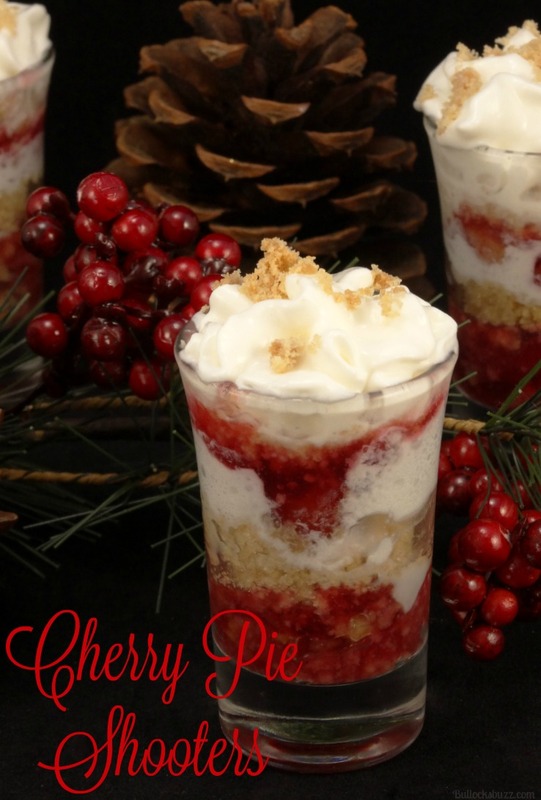 This year I am bringing a dessert, and I have the perfect one in mind – cherry pie! Not just any cherry pie though. Nope, this year I wanted to get creative and try something new. 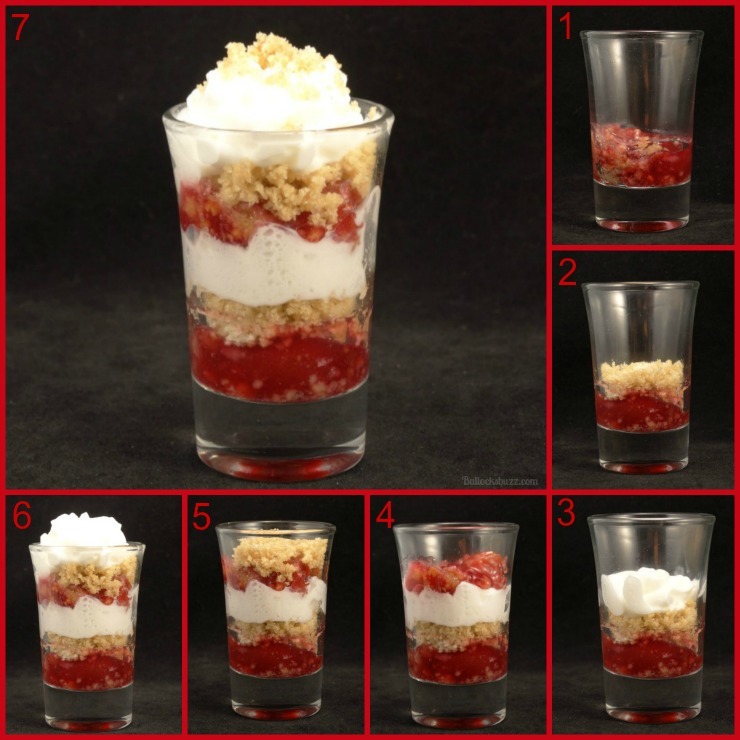 So instead of serving the traditional slices of pie, I am going to take that pie, deconstruct it, and turn it into a unique, mouth-watering dessert that everyone will love – Cherry Pie Shooters! 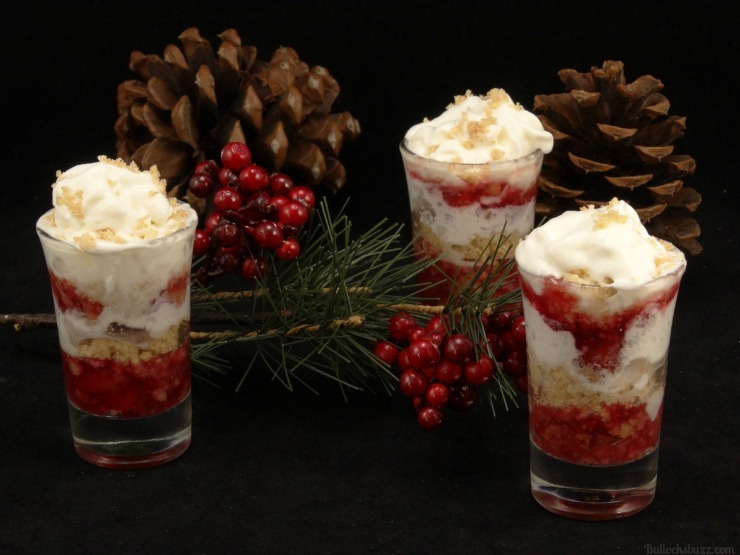 These individual Cherry Pie Shooters are a piece of cake, err…pie…to assemble. Made with one of Marie Callender’s® Dessert Pies layered between creamy clouds of whipped cream, it’s a dessert one won’t soon forget! Even better, their small size is ideal since everyone is usually stuffed full by dessert time! Don’t they look amazing? 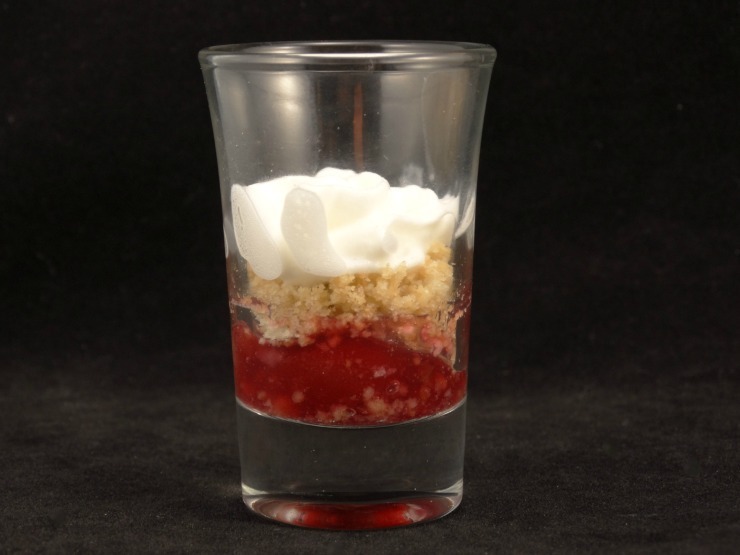 Ready to see how to make these Cherry Pie Shooters? Before getting started, head to the store and get the ingredients – by the way, this dessert is so easy, you only need two ingredients! 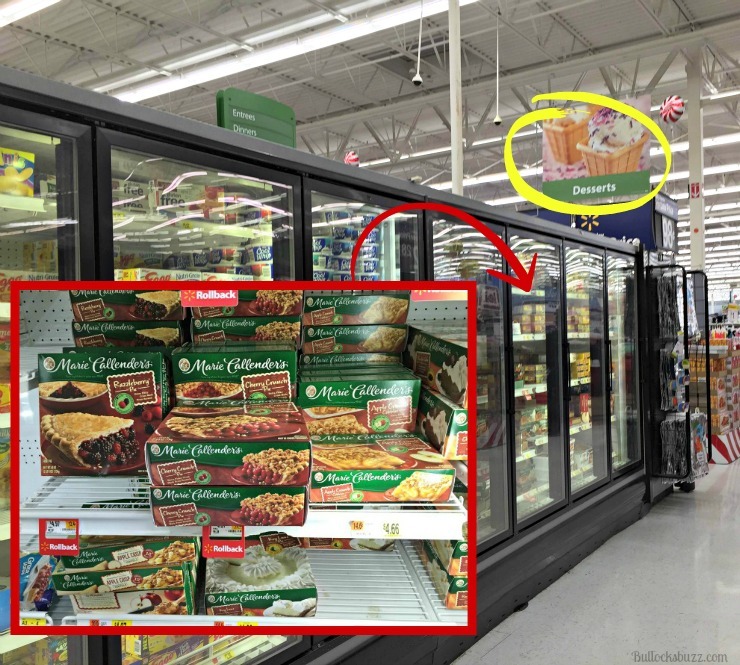 I found a great selection of Marie Callender’s® Dessert Pies in the freezer section at Walmart. 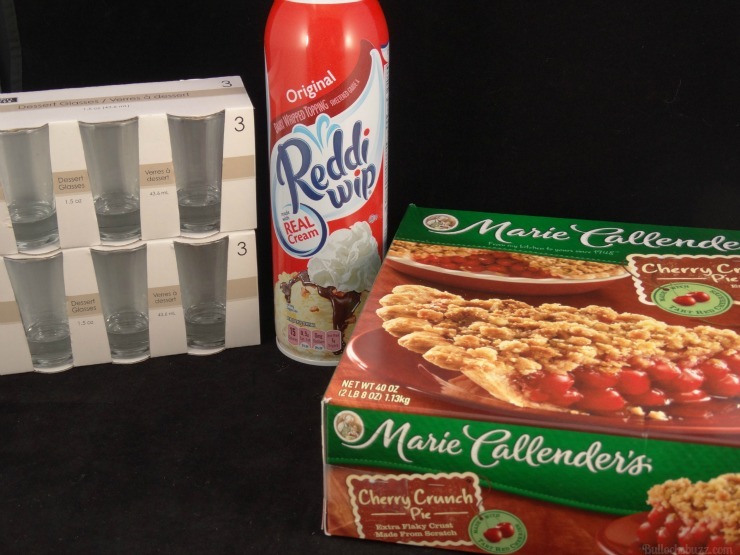 Marie Callender’s® Dessert Pies are a great option when it comes to preparing a dessert quickly. There are so many different varieties, that you’re sure to find a flavor for everyone. 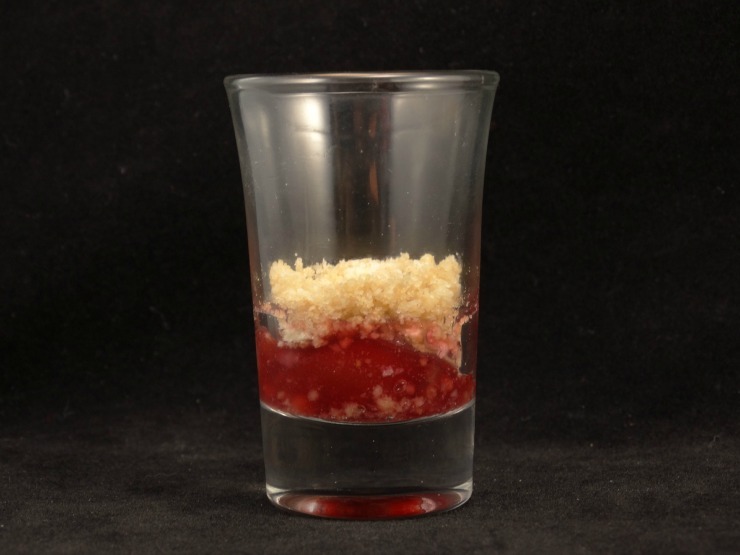 Although this recipe is for Cherry Pie Shooters, you can really use any flavor you prefer. And of course, a shooter wouldn’t be complete without whipped cream, so I made sure to grab a can of Reddi-wip® from the dairy section as well. 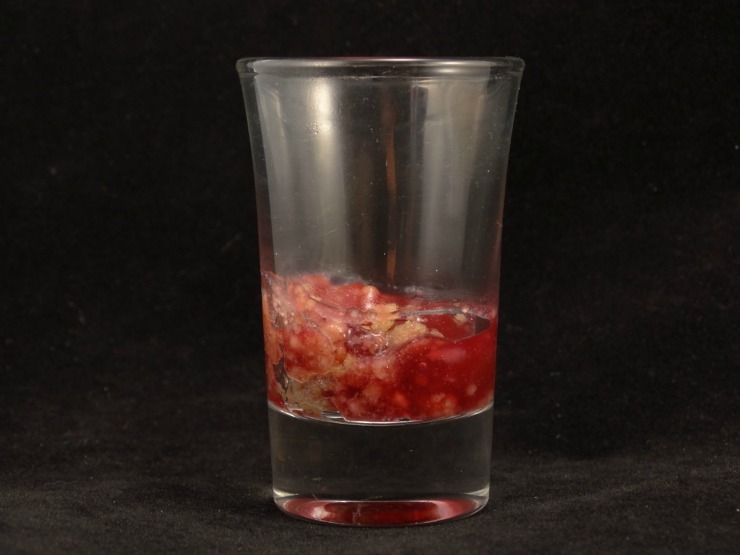 After that it was a simple matter of finding some small glasses in which to make the shooters and I was good to go! To start, simply prepare the pies as directed on the box. If you are using the Cherry Crunch pie, make sure to reserve some of the crumble for later! Allow the pie to cool for about twenty minutes once out of the oven so it is easy to work with. Once it is completely cool, lay out all of your glass shooters and grab a spoon for scooping. Start by scooping a small amount of pie into the bottom of each shooter. 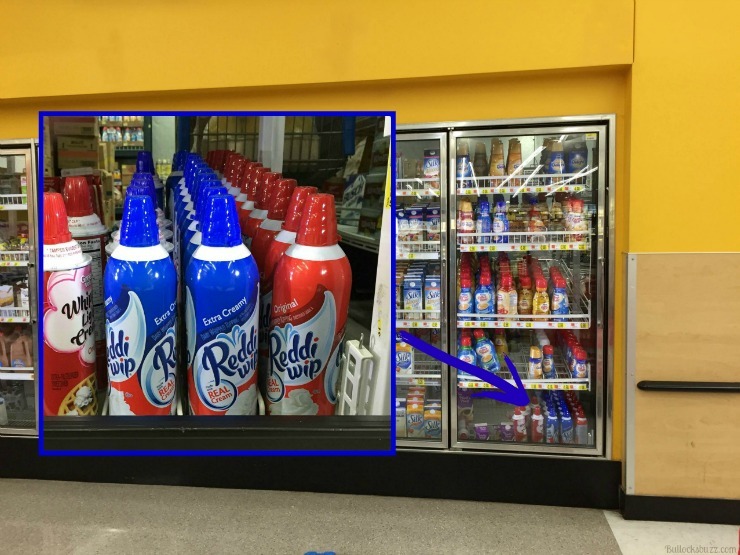 then follow with a dollop of Reddi-wip®. 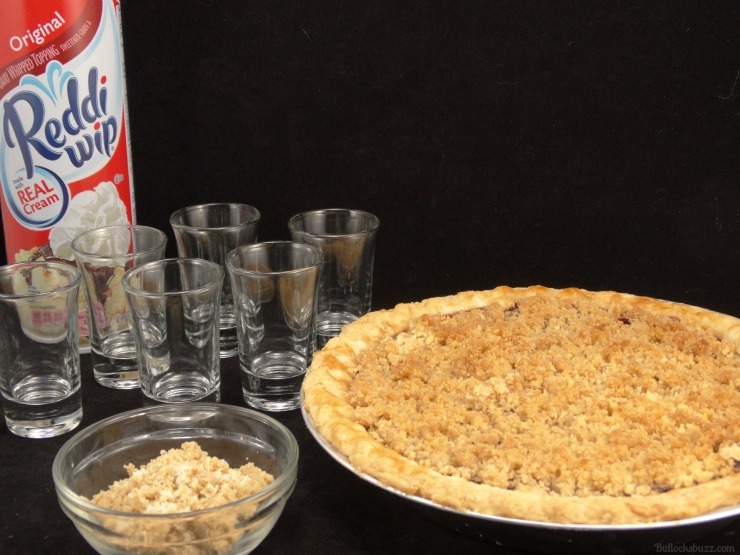 Add another spoonful of pie, follow it with some more crumble, and then top it off with another dollop of Reddi-wip®. For a little extra flavor, sprinkle a tiny bit of either the crumble or some ground nutmeg and that’s it! Repeat for each shooter. For me, the Holiday season is a time to be thankful and giving. And that’s why everyone year I like to do a little something special for my neighbors, friends and family to let them know I am thinking of them and that I am grateful for them. This year, since I have pie on the mind, I decided to put together a little gift of individual pie slices and wrap it up real pretty. 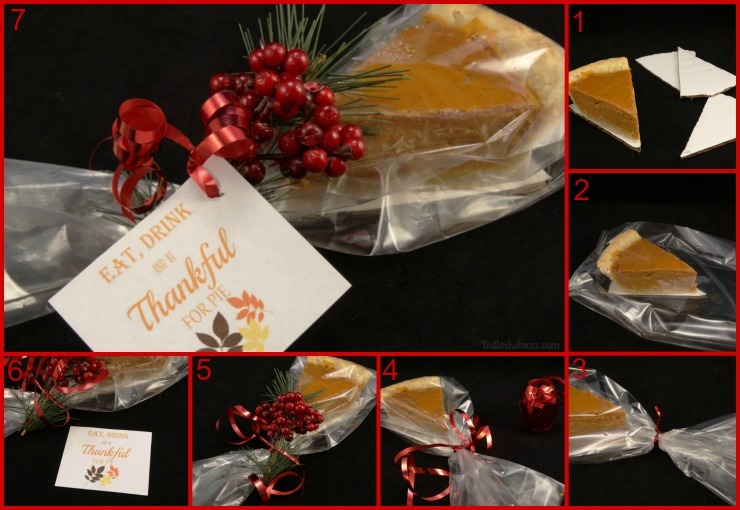 This idea works great for family gatherings, teacher appreciation gifts or even as your contribution to the holiday meals. It literally takes just minutes to put together. This time I decided to use Pumpkin Pie as it stays together better than a fruit-filled pie. 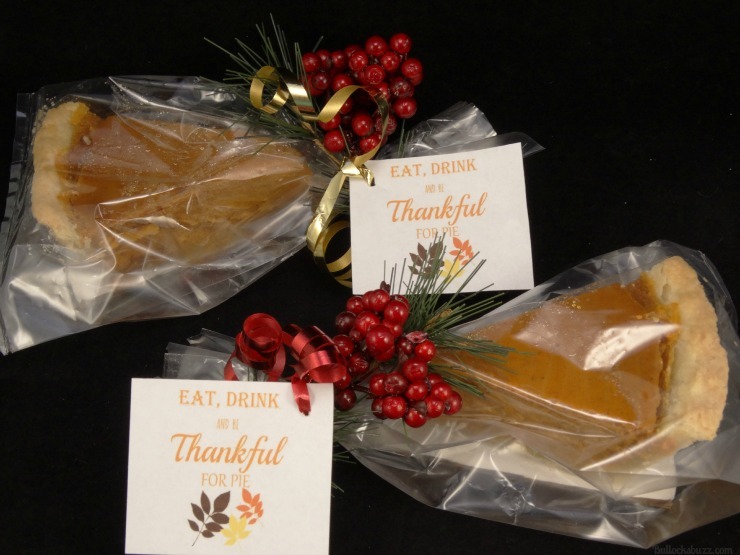 Clear treat bags measuring at least 5″ x 11″ x 3″. 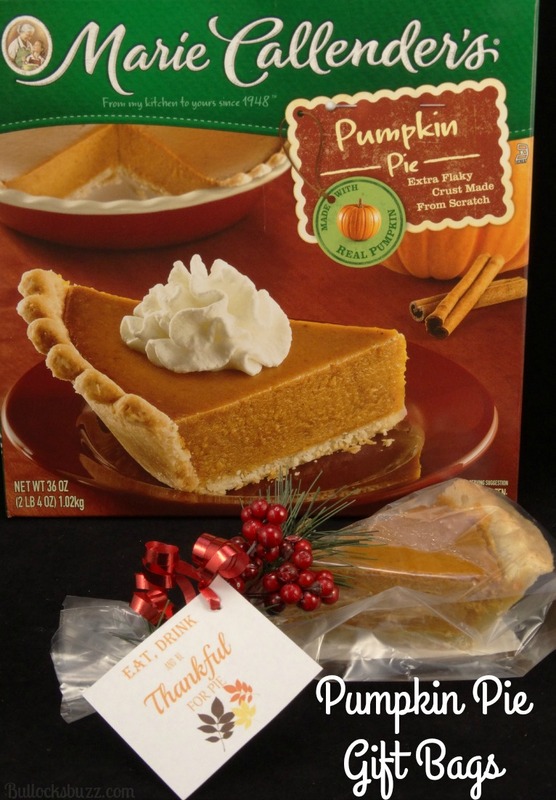 Prepare your pie according to the instructions on the box, and let it cool completely before you begin. 1.Once the pie has completely cooled. Slice it into 8 slices, and then put each slice on a piece of cardboard or other sturdy material for support. I actually used a cake round and cut it down to size for each individual piece. 2.Slip the slice into a clear treat bag. 3.Secure it with a twist tie. 4.Tie it off with a festive ribbon. 5.Add a spring of fake berries. If there is any extra bag at the top, simply cut it off. 6.Last, but not least, tie on the gift tag and there you have it. 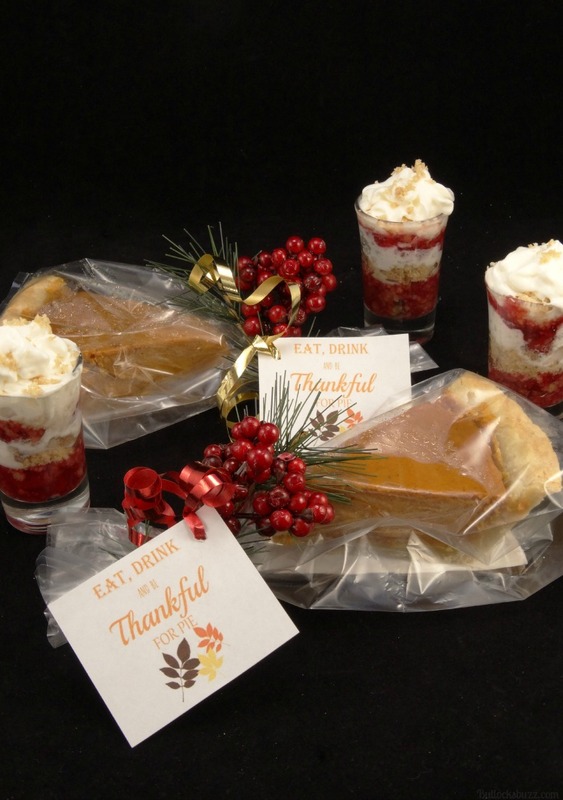 An adorable and easy way to #ShareTheJoyOfPie! This holiday season, #ShareTheJoyOfPie and enjoy spending time with your loved ones – without the added stress of making time-consuming desserts! 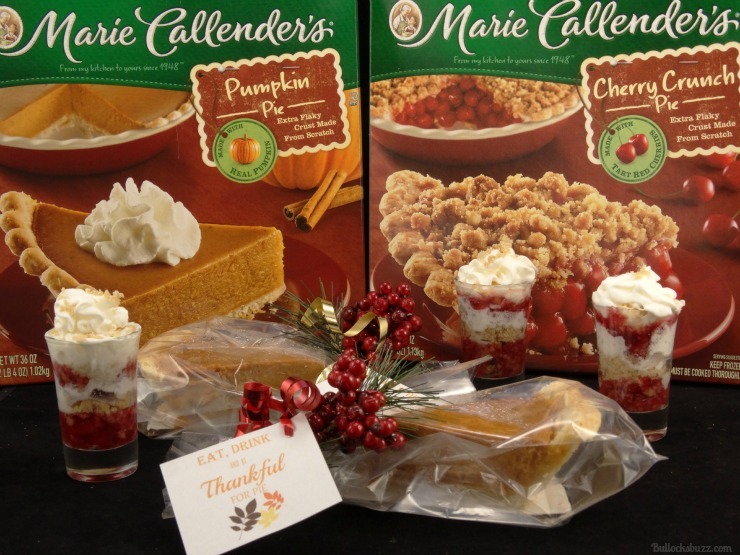 What creative ideas do you have to #ShareTheJoyOfPie with Marie Callender’s Pies? I’d love to hear from you! Thank you! They are delicious and so easy to make, too! Oh my goodness! I could eat everyone of those cherry pie shooters! Too bad you didn’t live closer and we’d whip up another batch together. It IS hard not to eat them because they are so good! That would be fun to whip up some together!